Home Interior Bathroom How To Choose A Vinyl (PVC) Floor? How To Choose A Vinyl (PVC) Floor? In recent years, the PVC floors have become very popular due to their long life, high durability and their favourable prices. Additionally, this type of flooring perfectly complements the modern lifestyle, it can make the overall housing more pleasant and it also ensures a healthy and clean environment. If you are choosing a floor and considering what type you should buy, read on to learn about the features and benefits of PVC flooring. What Is PVC Flooring Made Of? The homogeneous PVC floor – it is a flooring consisting of one layer; this type is very durable and it is ideal for high-traffic areas; it can be used e.g. in the entrance areas, in varied halls, hospitals, schools etc. ; the homogeneous PVC floors are available only monochromatic or streaked. The PVC floors have a lot of great features. Except from being very durable, flexible and stable, they are also resistant to moisture, and unlike other floor coverings, they do not expand nor shrink, they are warm and easy to install or maintain. Where Can You Lay A PVC Floor? The PVC floors are suitable for dry rooms. According to the type of the PVC flooring, it can be used in residential, community or medical rooms, in warehouses, in production halls and in other industrial spaces. 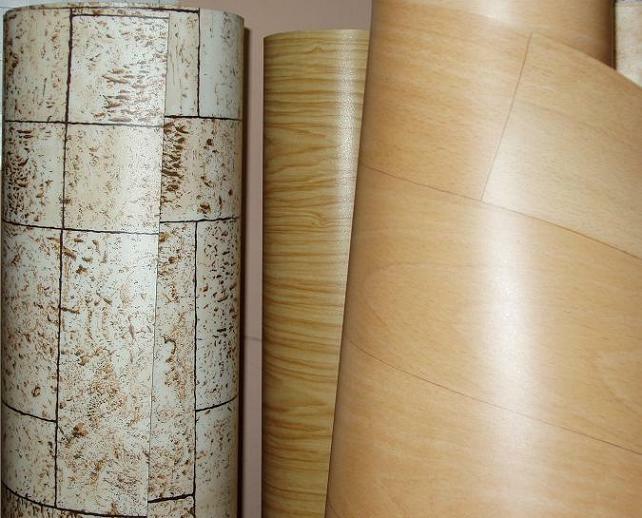 This type of PVC flooring features anti-static and anti-slip surface and it is a lifelike imitation of wood, tiles or stone. The floors made of rigid PVC are very resilient and they have a high abrasion resistance. They can be used especially in rooms such as kitchens or bathrooms, as well as various commercial spaces. 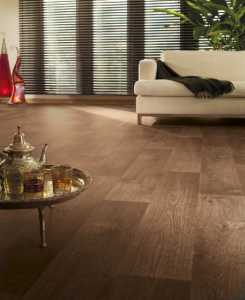 The PVC flooring is a very good choice if you are an allergic sufferer. This type of flooring protects the interior perfectly against allergens and dust mites. If you have decided to buy PVC flooring, always follow the technical data sheets, when buying it. It gives you the characteristics of the specific PVC flooring (e.g. its thickness, durability, maximum load, colour fastness) and where the type should preferably be used. Then it is only up to you, what pattern, finish or colour you choose. The PVC floor is installed on a clean and dry surface only that is why it is necessary to remove the old flooring first and leave the PVC flooring in the room for at least 24 hours before the installation, so that it could acclimatize to the conditions in the room. During the actual installation, it is necessary to lay it flat and without folds. The edges should overlap about 10 cm. After installing the PVC flooring, trim it and leave the expansion joints between the walls and flooring of about 1 mm. full-surface gluing, which is suitable for larger rooms. 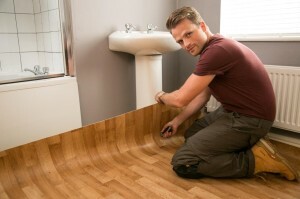 When free laying the floor, fix it at the edges and joints with a tape and stick it to the surface. If full-surface gluing the floor, roll the PVC flooring up, apply the glue on the subfloor and align the PVC flooring. Then do the same on the rest of the floor, always working on a strip of about 1 m wide. After finishing the full-surface gluing, press the PVC flooring down well, or flatten it with a roller. Compared to the free laying of the flooring, you may not walk on the freshly installed floor immediately. Are You Going To Lay A Wooden Or A Stone Floor?